No appointment necessary. Please speak to The Limes reception for more details. 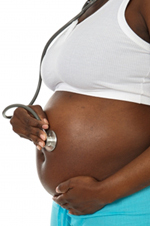 These clinics cover child developmental checks and immunisations. We hold a minor surgery clinic at the practice which is run by Dr Victoria Rowe. She will be happy to advise you on these procedures. Your GP will check your blood pressure and you will be able to discuss any concerns you may have regarding your pregnancy. Please bring a urine sample to every antenatal appointment. This is run by specialist asthma nurses and deals with your annual reviews or any problems you may be having with your asthma. If you are due for a smear test please arrange an appointment to see one of our nurses. This is run by Dr Shaw on the 1st Wednesday of every month from 2.15pm-4.45pm at The Limes Surgery, Epping. She also fits pessary rings in this clinic but for removal, please book a routine appointment. This clinic is run by Dr John House and is held monthly on a Wednesday at The Limes in Epping. The HPV vaccinations are given in the school setting. 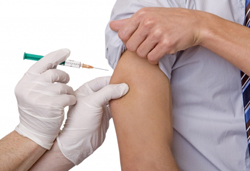 The surgery does not carry any doses of the HPV vaccine. Please notify your school nurse if you have any questions regarding the vaccine or if your child has missed a scheduled dose. 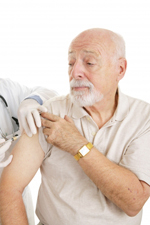 Influenza vaccination is recommended for at risk groups, those aged 65 and over and those suffering from chronic disease including heart, lung and diabetes. 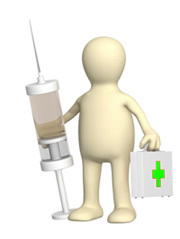 Please contact the reception staff for the influenza vaccination appointment in October. This clinic will deal with your annual reviews or any problems you may be having with your diabetes. A regular meeting is held between practice team and district nurses with additional input from Macmillan nurses to review and adjust individual patient care plans. The district nurses can provide further information when the practice is closed on 01279 827327. In addition St Clare's Hospice have a 24 hour line for patients or their relatives seeking palliative care advice on 01279 773773. The government's contract with GPs covers medical services to NHS patients. In recent years, more and more organisations have been involving doctors in a whole range of non-medical work. Sometimes the only reason that GPs are asked is because they are in a position of trust in the community, or because an insurance company or employer wants to be sure that information provided is true and accurate. Reports should be completed and returned within twenty working days from receipt of pre-payment. Time spent completing forms and preparing reports takes the GP away from the NHS medical care of his/her patients. GPs are very busy with the clinical care of patients and paperwork takes up an increasing amount of their time. Unfortunately in the past we have completed reports and forms before payment has been made, but have sadly found there to be too many occasions when the doctor has given up the time to do the work but the fee has not been forthcoming. The receptionists have been asked to collect the fee before the report or form can be completed. There will be no exceptions. This is run by qualified smoking cessation counsellors and they are there to offer encouragement, support and advice to you regarding medication that is available to help you stop smoking. This clinic is run by our in-house dietician and covers weight loss, healthy eating, coeliac and gluten-free diets, patients with diabetes and heart disease, high cholesterol and children's health. Patients are referred to Epping or Ongar sports centre where an instructor will organise a course of exercise to benefit your health. The scheme is aimed at patients with heart conditions, diabetes (type 1 and 2), high blood pressure, depression/anxiety, obesity and asthma. Travel advice appointments can be booked with the nurses where they can give travel injections that are available free of charge on the NHS and those that are not free, can be provided as part of our private travel clinic. These can be paid by cash or card at the time of your appointment. It is important to make your initial appointment as early as possible - at least 6 weeks before you travel as some vaccinations need more than one dose in a course. Vaccinations should be completed at least 2 weeks before travelling to allow maximum protection. Please note that if there are 2 weeks or less before you are due to travel then we cannot guarantee that we will have the availability to see you and you may be advised to visit a private travel clinic. The Limes Medical Centre is a designated Yellow Fever Centre and has been authorised by NaTHNaC (as the regulatory body for England, Wales and Northern Ireland), to administer the yellow fever vaccine in accordance with International Health Regulations (2005).